My mom has the magic touch. No, she’s not a magician, but sometimes I wonder. 😉 Whenever I worry about something (which is a daily ritual for me) she always knows what to say to put my mind at ease. She gives me great advice no matter what the topic is. I could go on and on. I love and admire her so much that words don’t seem to do her justice. What better way to honor her (and all moms) with these magic cookie bars. These gooey cookie bars are loaded with chocolate, coconut, and nuts. Grease an 8 x 8 baking pan and set it aside. In a food processor, process the graham crackers until they are a fine crumb. Add in the melted butter and process until it’s all combined. 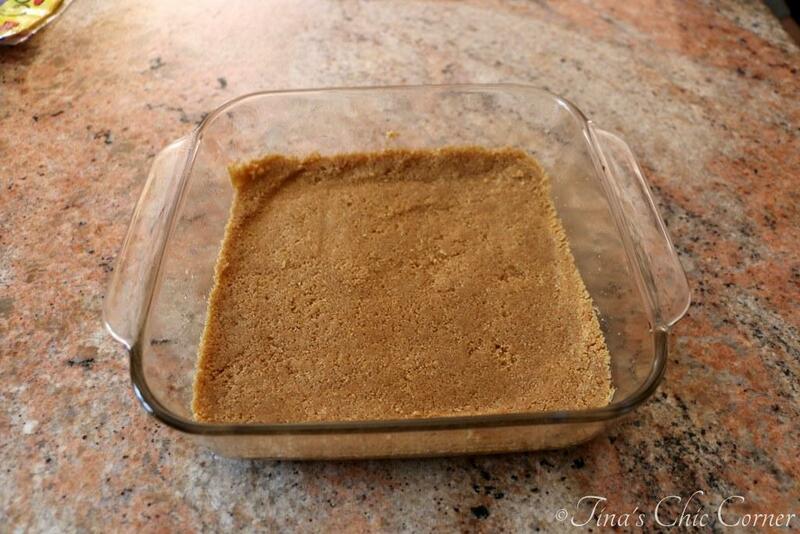 Press the buttered cracker crumbs into the bottom of the prepared baking pan. Make sure to pack it down as much as possible. I used the bottom of a measuring cup to help me out. 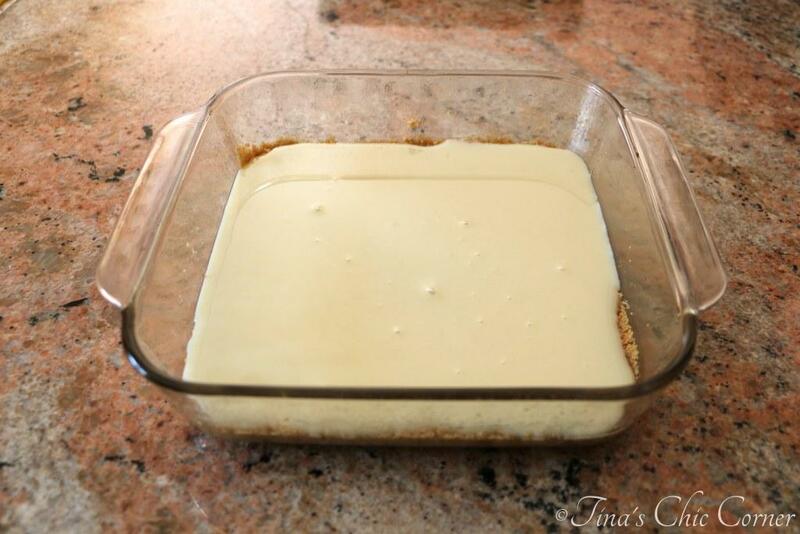 Pour the sweetened condensed milk evenly on top of the crust. 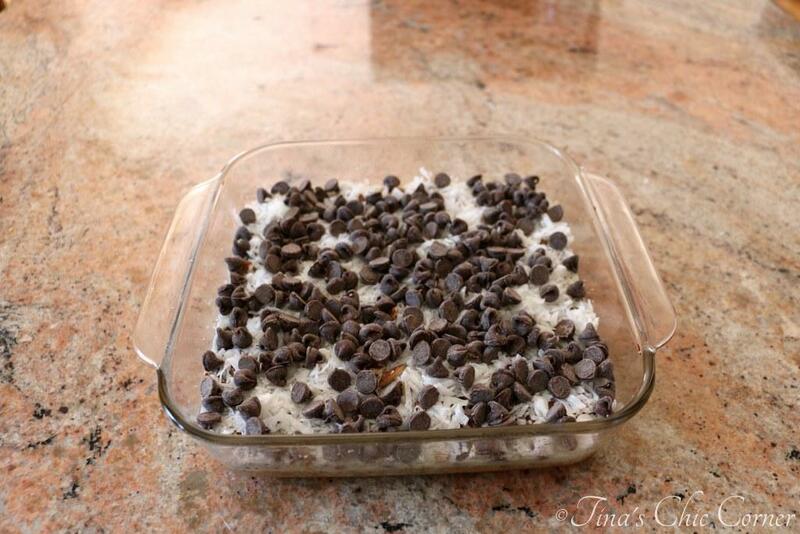 Layer the chocolate chips, coconut flakes, and pecans evenly on top. Bake it in the preheated oven for 30 minutes. The crust is almost always my favorite part and this one is no exception. It’s a simple graham cracker crust, but honestly I could eat the stuff by itself and be a happy gal. I know this part looks gross, but the sweetened condensed milk will turn all of the goodies into luscious layers of caramelized goodness. 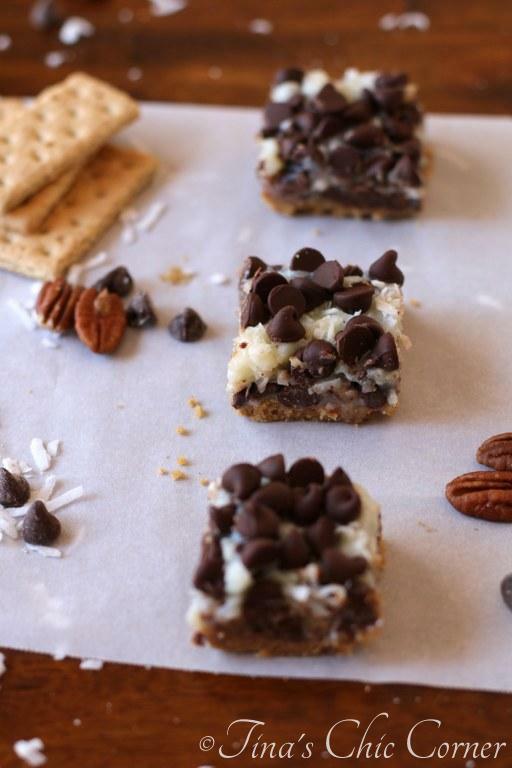 Have you heard of magic bars? It’s an oldie but goodie. You can really go to town and pile on lots of shiz (yup, that’s a technical term), like all sorts of chocolate, nuts, dried fruit, marshmallows, or pretty much anything you would find in the candy aisle of a store. My husband notes the similarities of these to Seven Layer Bars his mom used to make for him as a kid. I don’t think there are any real rules about how many layers you use but keep in mind you may want to limit it just for the sake of your teeth. When I was younger, my mom and I used to do our Christmas shopping in one day. We’d hit three malls and shop for 14 hours straight. I don’t know how we did it. Today, I’d need a few of these sugary treats to get me through a shopping marathon like that! 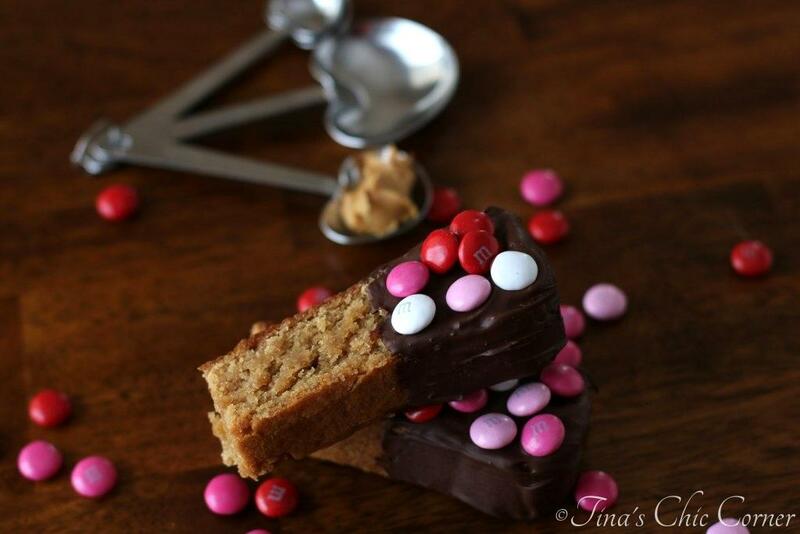 These bars are super duper easy to make. Really the only tricky step is getting the butter into the graham cracker bits and that’s not even remotely hard to do thanks to the food processor. Stacking ingredients all over each other is a perfect task for your kitchen helper kids. They’re also super sticky, which is of course exactly what kids would want them to be. Oh yea, these bad boys are deeeelicious! 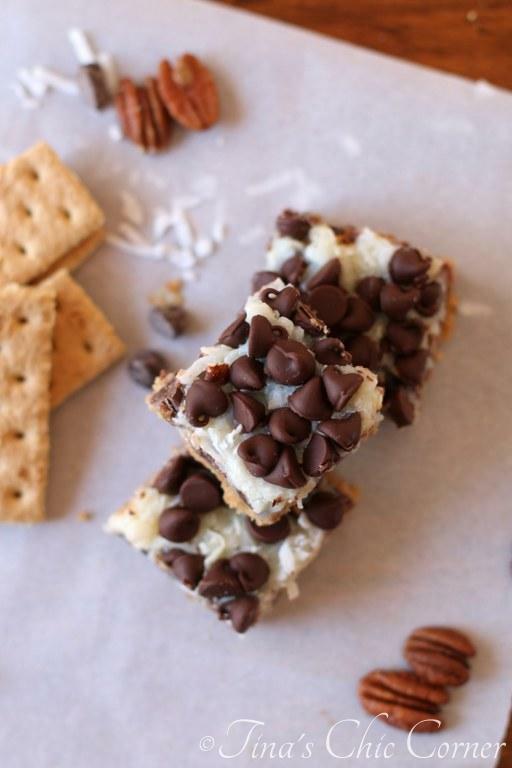 It’s hard to go wrong with chocolate, nuts, coconut, and buttery graham cracker crust. 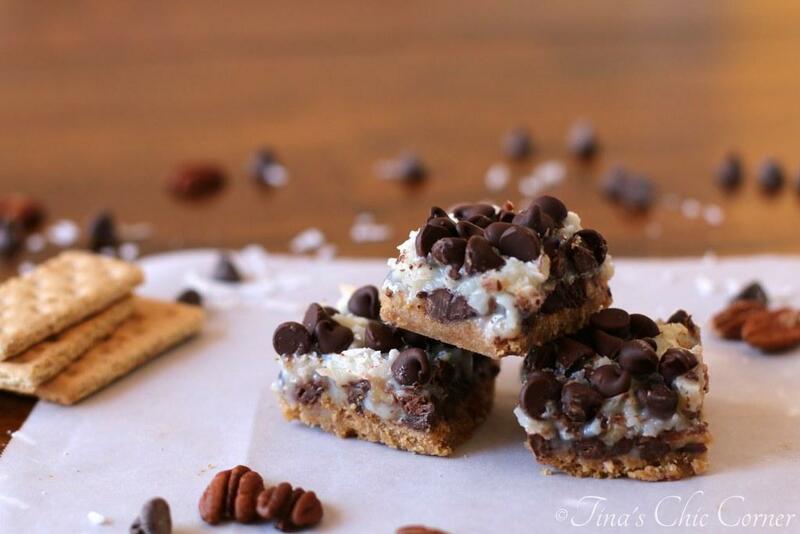 Here are some other delicious cookie bars. This sounds delicious Tina! I love bars with a sweetened condensed milk layer. I love when it gets crunchy on the edges. I’m a total “edge” girl, love the extra crunch. Oh my gosh, I am drooling all over my keyboard. These bars look sooo dense and decadent! I’m pretty sure I could eat that entire panful of these gorgeous bars. I’m sure I’d gain like 10 pounds but I don’t care. — It would so be worth it. 😀 Magic cookie bars have been on my must-make list and um, these are so happening here soon. My little siblings will love them! (they, like most kids basically love anything that’s super-sweet) Pinned! Wow these bars look delicious! Love all that chocolatey goodness, and I’m sure your mom will too! Now that you mention it, these do remind me of a mounds or almond joy! I hope you love them as much as we do. 🙂 Thanks so much Bam. Have a lovely week, my friend! Oohhh … yummy! I had a super sweet little bar thing in Starbucks yesterday for a little energy hit while travelling and do you know what they did to make them ‘OK’? Just made them really small. I love the sound of these ‘naughty’ treats, especially the gooey caramel condensed milk layer and the fact that they sound sooo easy to make. My kind of snack!! 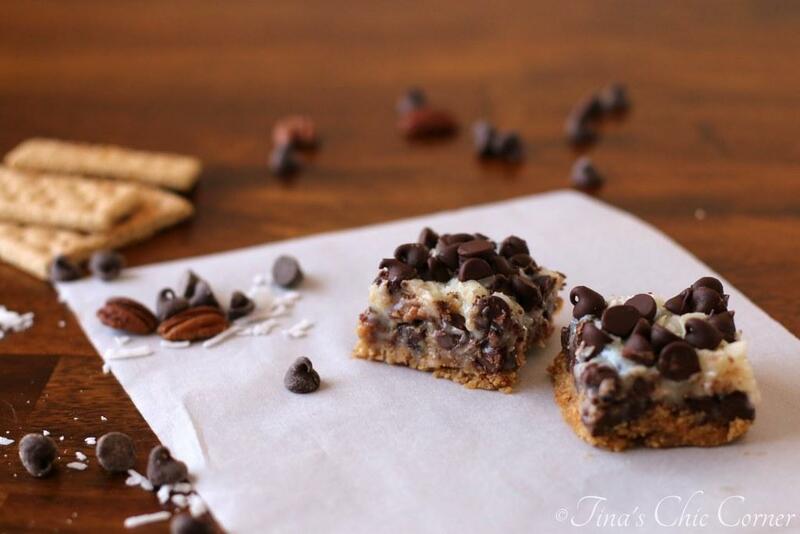 I think I would need one of these magic cookie bars to go on a shopping marathon like that!! Woah!! All your Christmas shopping in one day?!? Awesome!! 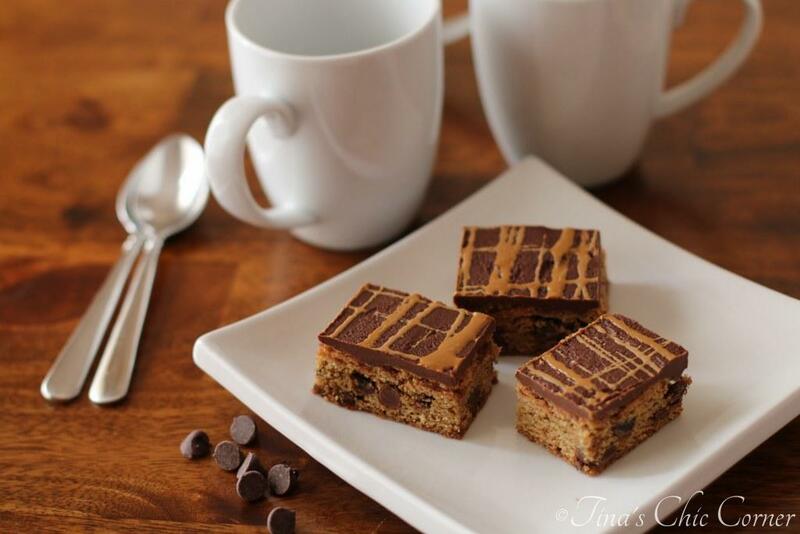 And these bars look fabulous – I know my mom would like them too 😀 Pinned!! I always wondered that too! Mom’s do have a magic touch, but they have help from things like sweetened condensed milk 🙂 These are some of my favorite bars ever! You can’t beat classics! These look so good! Love the name- so cool and unique! Such a classic! Moms are quite magical 🙂 And graham cracker crust is the best! I have got to make these soon! Tina, your mom sounds like a super hero! Love these bars… reminds me of when I was younger. Now, I’ll have to break them out for the boys! They’d be all over these! These do look magical! So delicious! Happy mother’s day to your sweet mom! Gotta love mom’s! And magic. Especially in bar form. These look amazing. I’ve never heard of magic bars, but it sounds to me like you and your mom are magicians! These sound delicious! 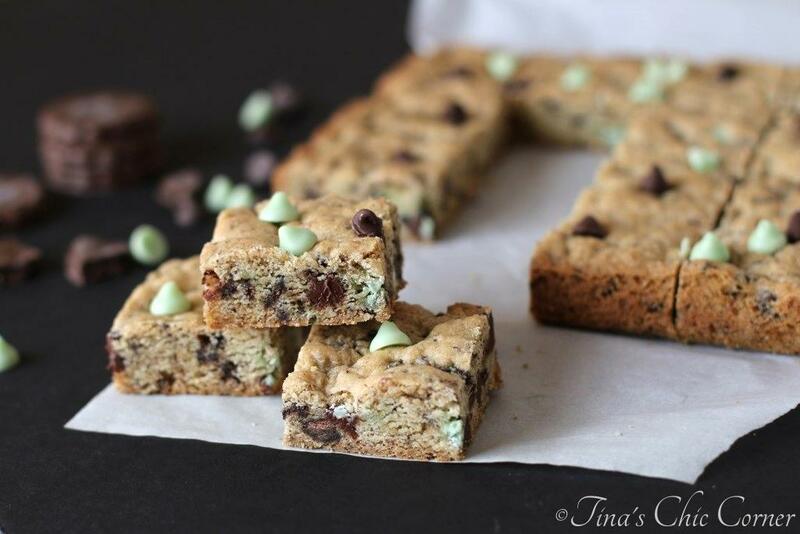 Oh my goodness I love any type of cookie bars… especially magic ones hahaha. Pinning so I remember to make these bad boys! And love that condensed milk trick… it’s amazing how it turns to caramel goodness! I need these, like right now! Yum!! I love anything with coconut! These are a must bake! My family went crazy over these bars! I just made another coconut recipe this past weekend and can’t wait to share!